MOLD. It’s the four letter word that homeowners dread hearing. 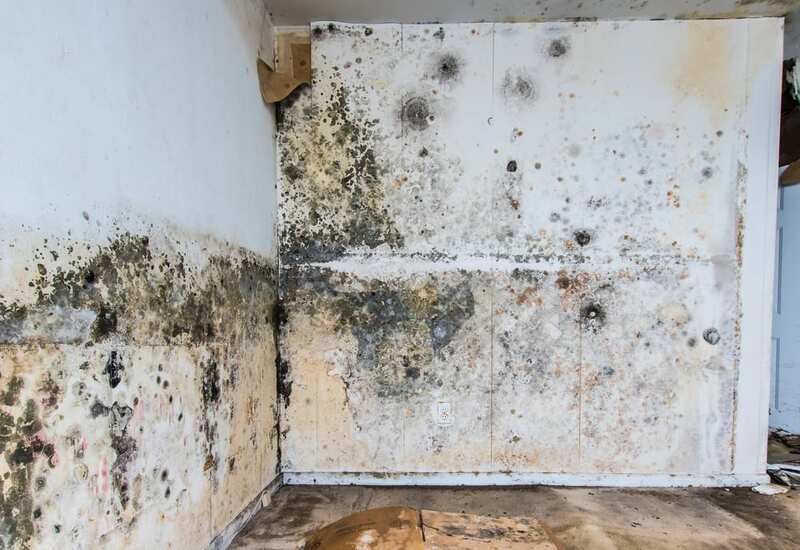 In recent years, the talk of “black mold” has increased. The press and media report regularly on the dangers that mold can cause to the health of those in a household. Here’s the truth – mold isn’t a good thing, but mold is not something that will kill you instantly if you breathe it in. There are hundreds of types of mold in the world, but when we think of mold, we tend to think of black or green mold. We also believe that mold has no place in a “clean” household, but the truth is mold is anywhere that there is excess moisture – it has nothing to do with the cleanliness of a home. While mold isn’t deadly at first site, it can cause different health issues if exposed to specific mold types for long periods of time. When is it time to call in the professionals to remove the mold from your home and when can you do it yourself? Let’s take a look. Mold is pretty common in all homes. Where there is a water problem, there is mold. A small leak, a large leak, or flooding, mold will quickly follow. It doesn’t take a large amount of water to cause mold to begin to grow. In fact, most homes have a small amount of mold growing in the bathroom right now! Bathrooms are wet and humid, exactly the type of environment where mold thrives. Bathroom mold is an area where it is not necessary to call in a professional to handle the removal. There are over the counter mold removal chemicals that will work perfectly to kill small amounts of bathroom mold. Once the area’s cleaned and all mold’s removed, it is important to ensure that the bathroom is properly ventilated to deter mold from returning. What about larger amounts of mold? If you find mold on drywall a professional may be necessary to assist in the removal. Larger amounts of mold can require the removal of the drywall completely. This is when a professional mold remediation service can step in. At A&J, our team is certified in mold remediation. We come with over 30 years of experience and follow all EPA and OSHA guidelines. We follow the strict standards laid out by the Institute of Inspection, Cleaning, and Restoration and many other industry certification protocols. To put it in plain English – we know mold and we know how to remove mold. Our team will not only kill and remove the mold issue from your home, we’ll also find the source of the mold. This is an extremely important step, one that do it yourself mold removers typically miss. If you do not know where the water is coming from, cleaning the mold will only hold it at bay for a brief amount of time. It’s important to find the cause of the water, seal and repair the leak, and then clean up the mold. This will verify that the mold problem is gone for good! A&J Property Restoration DKI is pleased to serve all homes in the Madison area. We are here to help when mold strikes your home. Call us for more information and to schedule your initial consultation today.